Dr. Chelsey Rosen is a New York State licensed psychologist (#022640) and a certified NY State School Psychologist. She received her B.S in Psychology from the University of Maryland-College Park and her Doctoral and Masters degrees in School Psychology from St. John’s University. Dr. Rosen is a certified therapist in Parent-Child Interaction Therapy (PCIT) and a Selective Mutism (SM) specialist. She has trained, supervised and consulted to clinical psychology trainees, licensed psychologists and various school personnel in various behavioral therapies. In addition to PCIT and SM, Dr. Rosen has expertise in providing evidence-based treatment to children and adolescents from ages 2-21. Dr. Rosen provides cognitive behavioral therapy (CBT), behavioral parent management training (PMT), exposure and response prevention (ERP), school/teacher consultations, as well as teacher-child interaction training (TCIT). She works very closely with various schools in NYC and the surrounding areas providing consultation, workshops and live in-vivo coaching to school personnel on behavioral management skills in both public and private school settings. She completed both her Postdoctoral Fellowship and clinical internship at Kurtz Psychology Consulting under the direct supervision of Dr. Steven Kurtz. Dr. Rosen specializes in working with children, adolescents and families who have a wide range of emotional and behavioral disorders including but not limited to: anxiety, school refusal behaviors, depression, ADHD, ODD and OCD. She has presented at various conferences on both TCIT and SM. She has also provided individual and group therapy for children to build both social and emotional skills. 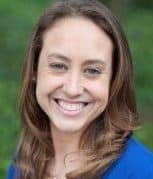 As a certified school psychologist working both in the schools and clinical settings, Dr. Rosen has experience working with a multi-disciplinary team and is committed to collaborating with both the families and the schools when providing therapeutic interventions.